I double majored in Art and Business Management. Polar opposites, I know, but they both really suited me and helped me as a teacher. One of the topics that I'm passionate about is teachers' pay. When asked if teachers are paid fairly, they all unanimously said no. Salaries are going down, benefits are decreasing while responsibilities are increasing and so is the cost of living. But what can you do? It's you against them. While that is true, there are still issues that you have control over, private lessons are one of them. Teachers who teach private students quickly learn what the going rate is and most of the time start at the lower end or in the middle. What they're trying to do is make their lessons as cheap as or cheaper than other teachers. There are a number of reasons why this is a bad choice and I'm going to discuss them below. Someone will always beat you. They will. Just watch and see. Before you know it you'll have a pricewar on your hands. You'll lose. It'll become a consumers' market and as a teacher you'll have to accept a lower and lower price per hour. You'll feel undervalued and underappreciated. There's more than just teaching that goes into private lessons. You may have to travel to get to them. You'll have to prep your lesson plans. Before you know it your one hour private lesson has expanded to three hours, however, you're only getting paid for one. People associate cost with worth. You get what you pay for. So if you charge less per hour than other teachers, students may think you're a worse teacher. Price is only one thing. There are other things out there, such as value, customer satisfaction, student test results, and innovative teaching methods, just to name a few. People like status symbols. Diamonds, Ferraris, Mansions. They're all very expensive. There are much cheaper options out there, but people choose to get expensive items. They're status symbols that people like to show off. Similarly, there are people who will brag about being able to afford $100 an hour private lessons. 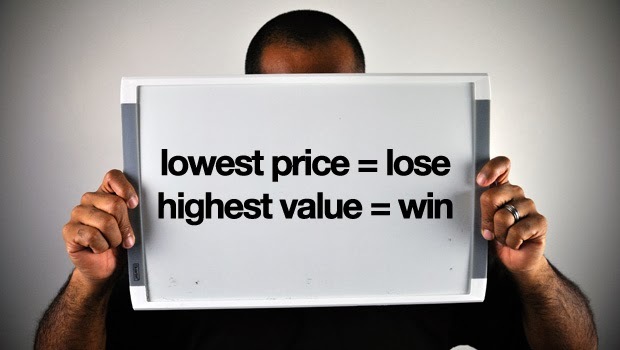 Don't be followed into thinking that everyone wants the cheapest option out there. You'll make more money. If you increase your prices by 20% then that means you can make 20% more than before. You can work less. If you increase your prices by 20%, then you can work 20% less and still make what you made before. The more you charge, the more you make. You'll deal with higher quality people. If you don't want to deal with people who will nickle and dime you and always fight over price, you need to charge more. By doing this you will end up dealing people of a higher caliber. People who believe that money isn't the end all and are willing to pay for a good lesson.